Sweet love text messages and romantic SMS collections used in the right way can spice up your relationship & make holidays exciting for everyone else. Islam (Muslims) and India’s (Hindu) new year was celebrated a while ago; Halloween is here again, and in a few days it’s going to be about Christmas, New year, Valentine, and many other popular holidays. Don’t you think that technology can help you spice these holidays up a bit? My biggest reward is to see you smile, know you are happy and feel you are loved. I know life is sometimes cruel, but that’s why I’m here, to show you that life can be good when somebody cares. “I trust you” is a better compliment than “I love you” because you may not always trust the one you love, but believe me, you can always love the person you trust for the rest of your life. If love fails, set yourself free, let your heart spread its wings and fly again. Remember you may find love and lose it, but when love dies, you never have to die with it. When two people are meant for each other, no time is too long; no distance is too far, no one can ever tear them apart. I’m not a photographer, but I can picture you and me together always. If you really love someone never let go, don’t believe that letting go means that you love best, instead fight for your love, that’s what true love is. LOVE is not a mistake, but a misery. Love is a very beautiful thing but full of pain and sorry. We just can’t do away with it. Let me call you sweetheart, Because, you’ll always be the dearest, and, the sweetest one, in all the world to me, Because, I’ll always love you, more than you, could ever guess, you are my everything, my world, and my Happiness. You must be salivating with these lines already, right? Holidays are usually piled up with many activities that leave us with little time to start getting creative with lovely messages that will spike excitement to our partners. The six apps below will help you write romantic SMS lines and create stuff that will make your relationship work better, put a smile in your friend’s face, and have enough fun during the holidays. 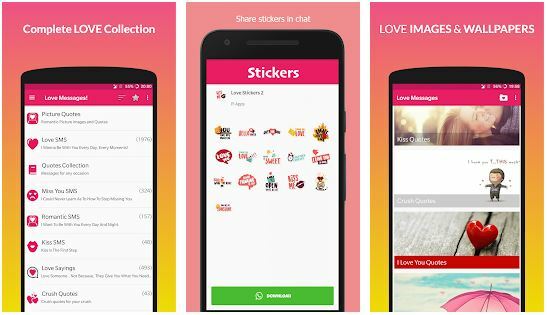 Love messages 2019 is an impressive collection of over 5000+ Love Messages for cell phone and smart devices. It is an app that can be loaded to your wearable gadgets, iPhone, iPad, iPod, and Android devices. While Android users can download this lovely app from the Google play store, iOS users, on the other hand, can get it from the iTunes app store. Sweet Picture quotes and Love Images. Cute Love Quotes for him/her. Wonderful feeling status and stickers for WhatsApp. Top notched romantic messages, friendship messages, and flirt messages for him/her. There are several categories to browse within the app; it has provision for both English and Hindi messages. Ignoring the boring lines; you can actually spice up your relationship or even restore broken ones during this busy holiday times. Love messages 2019 is a must-have app for creating soul-soothing SMS and romantic text messages. Halloween E-Cards can save you great deal of time during this Halloween holiday. It helps you create spooky greetings and customized Halloween wishes that can be sent right from your smart phone. You can send these lovely messages to your friend’s via email, Facebook, Twitter, and other major social networks. It is available for download on the Google play store, and a similar version of it can be gotten from the iTunes app store for iOS users. 75000+ SMS Messages Collection is a nice collection of text messages for various holidays including; Halloween, Valentine, Happy new year, Hindi SMS, Sharabi Shayaris and many other categories. Thanksgiving, birthday, flirt, courting lines, romance, dating and funny jokes are the other major categories with lots of messages in this app. The only down side with this app is that it needs data access (GPRS) and has too many annoying ads for a basic app. It will be an excellent choice if you have a good firewall installed in your android to block it from accessing the internet when not in use. It is available for download on the Google play store. Islāmic Messaging app (SMS Quran) is a handy messaging app for Muslims. It is most likely for your Muslim friends to have this app already installed on their phone, making it very easy for you to send those lovely messages to them during Islāmic feast and holidays. You can put smiles to the faces of a Muslim friend out there or even surprise them with some beautifully composed messages within the app. This app is available for download on the Google Play Store. Christmas messages app for Android is a nice collection of lovely messages you can edit and send to friends during Christmas and New Year celebrations. You can use this app to complement the ones listed above as they contain Christmas specific messages as well. It is free and available for download on the Google play store. Love Quotes And Romantic SMS app is an excellent app to spice things up; it is free app and available for download on the Google play store and has similarity with the Daily Love Quotes App on the iTunes apps store. The love quotes and romantic SMS app have lots of love quotes, romantic quotes, love SMS and the ability to send text messages to mobile phone numbers directly from the app. 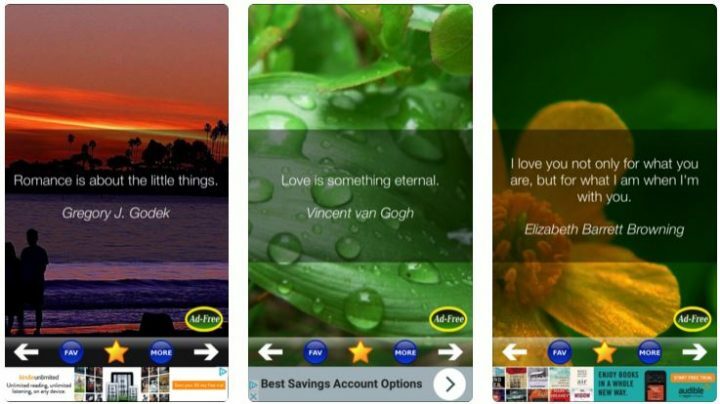 You can also share the romantic love messages to Facebook and other social platforms from within the app’s interface. The best I love you quotes and SMS can be gotten from this handy cell phone app. You’ve seen how technology can help you save your relationship, make your holidays very exciting, put smiles to the faces of your friends and all that. Don’t you think that someone else might find this post fascinating? Halloween is already here; other holidays are fast approaching, do us a great holiday favor by sharing this page on your wall. Do not forget to drop your opinion and other tips or apps to help spice things up during the holidays. You can suggest other top sources for best love text messages and romantic SMS in the comment box below. In our daily life we all need these type of messages to send to our loved once. There are many things which matter in any relationship and for sure these messages will help in it. I love the apps you have shared here. People will like to know about such apps. I do hope that many persons find them useful.